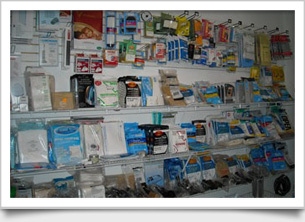 Cunningham Vacuum Sales & Service carries some of the best vacuum products in the industry. 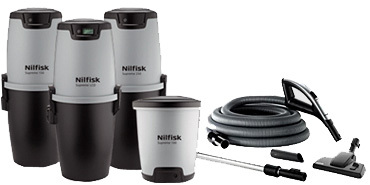 Your Vacuum Specialists in Orangeville, Ontario! 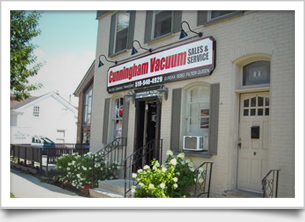 Cunningham Vacuum Sales & Service has serviced the vacuum sales and service needs of Orangeville, Ontario and the surrounding area for over 12 years. As a family owned and operated business, our mission has always been to serve with pride and fairness. Operating across two locations, the qualified vacuum technicians at Cunningham’s have over 30 years of experience with on-site vacuum repairs. This means your vacuum will never be sent away for repair – it will be repaired swiftly and accurately in-house, so you will get your vacuum back much more quickly! We guarantee we stand behind our products and suppliers – we believe that this is the main reason so many of our clients stand behind us! 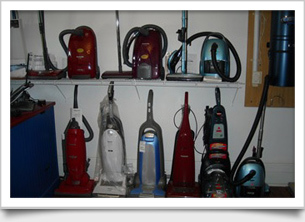 We service all makes of vacuums, as well as sell quality brand name vacuums with 3, 5, 10 or 15 year warranties. Call us and we will be at your doorstep to make sure your central vacuum systems are operating in top condition. At Cunningham Vacuum we always try and fix the problem on-site. However, If we need to bring your machine to our workshop we will work efficiently to return it to you as soon as possible! We are the proud winners of Best Vacuum Shop in Town, from The Orangeville Banner. We are also proud members of the Ontario Carpet Cleaner Association.